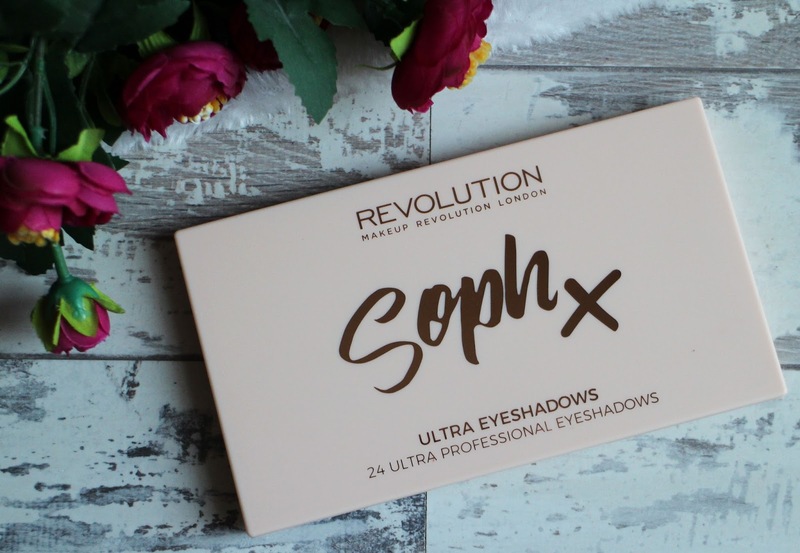 I'm sure most of you have heard of SophDoesNails by now (if not I'd recommend checking out her youtube channel), sometime last year she released two products in collaboration with Make Up Revolution - a highlighter palette and this Ultra Eyeshadows Palette. I was determined not to buy it because i definitely didn't need another eyeshadow palette in my collection but i caved just before Christmas and treated myself to it and i have zero regrets. 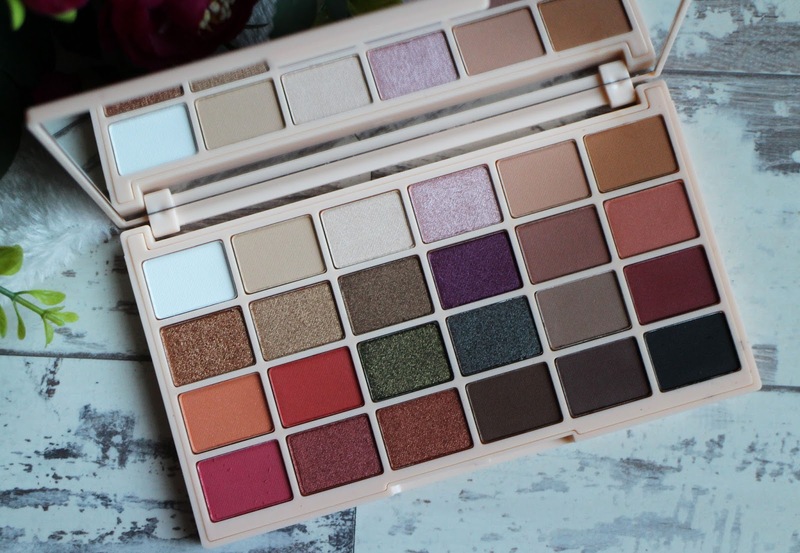 Most eyeshadow palettes that have such a wide variety of shades like this one i normally don't find myself drawn to, I'm a neutrals girl through and through, so i tend to avoid bolder colourful shades but every time i saw this being featured in a blog post of youtube video, i found myself wanting it more and more. Sophie has chosen the shade range really well - there is something for everyone and there are so many ways to make the colours work. I won't sit here and tell you that I'm suddenly a colour convert and i wear bright bold colours on my eyes now but this palette does make me want to try and experiment more and i feel like these colours are a lot more wearable. Even if you are like me and tend to play it a bit more safe with the neutral shades, there is a gorgeous selection of those in here too so there really is something for everyone. 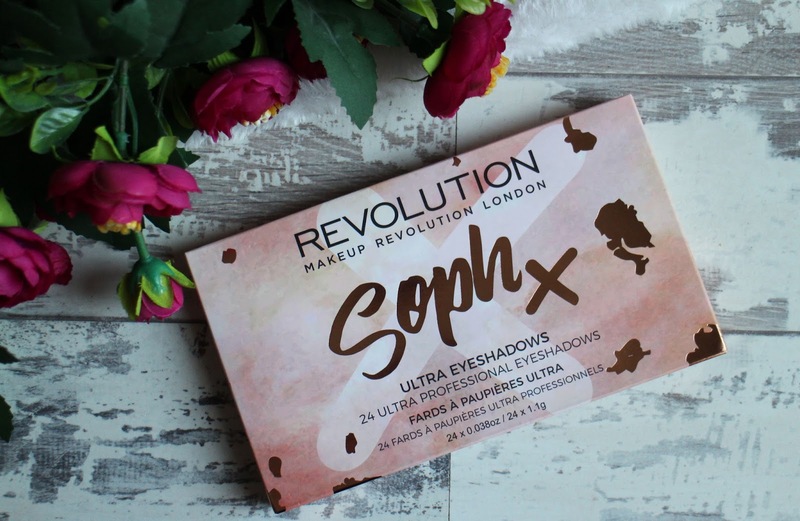 Make Up Revolution are renowned for their affordable and good quality eyeshadows and this palette is no exception - they are pigmented, buttery and blend together beautifully. I've experienced very minimal fall out with these shadows and they last ages on my eyes without creasing. 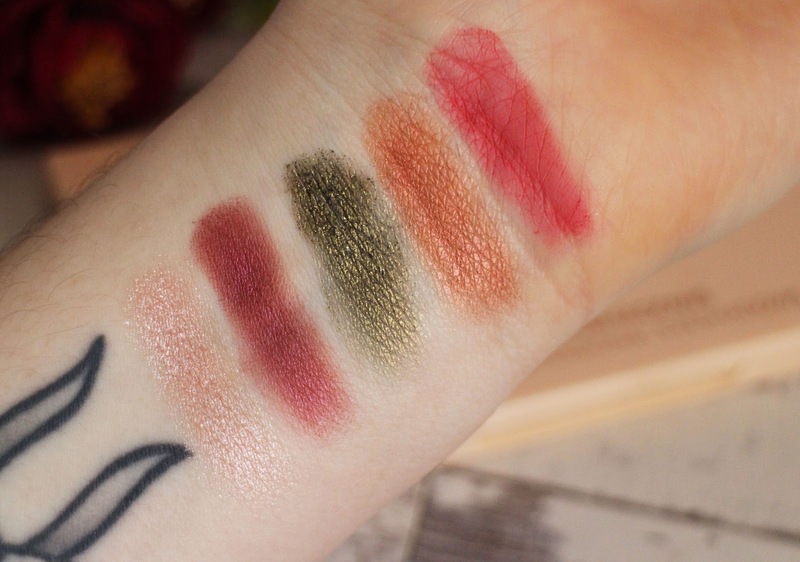 There is a wide selection of mattes and shimmer shades; the matte shades have really impressed me with their pigmentation, there colour pay off is so good and they're such stunning eyeshadows. The shimmers aren't as pigmented as you'd expect them to be in comparison to others I've tried but don't let that put you off, they're still lovely and you can build up a really good colour or i find applying them with my finger or even wetting them before hand makes all the difference to them. The only thing i don't particularly love about this palette is the packaging - it's cheap and i'm personally not a fan of the colour or the look of it. The box it came in was beautifully designed but the palette casing itself, i just don't love. It doesn't affect the quality of the eyeshadows though so it's not really a big deal. 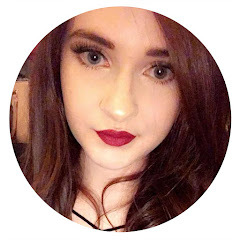 I've done two different sets of swatch photos; one including my favourite shades that i love to use and the other showing you what some of the more colourful shades are like. My personal favourites and the shades I've used the most are Pancakes (Light Neutral Matte), Sparks Fly (Shimmery Gold), Pug (Matte Grey Toned Brown) and Rosewood (Matte Dark Brown) - all neutrals, obviously but i really like these shades a lot. It's so easy to create a wearable everyday look or really go all out for a full glam eye. The other shades are ones I've not experimented with too much but i wanted to show you how they look too and they are Pink Champagne (Shimmery Pink), Mixed Berries (Shimmery Berry Toned Purple), Pine Tree (Shimmery Moss Green), Festive Flame (Shimmery Copper toned Pink) and Strawberry Sweets (Matte Strawberry Pink). The swatch so beautifully and I'm trying to make the likes of Pine Tree work for me (I'm not very good at darker smokey eyes) and i think Festive Flame is stunning! The palette retails for £10 so it's a little more pricey than their usual range of eyeshadow palettes but it's still very affordable. 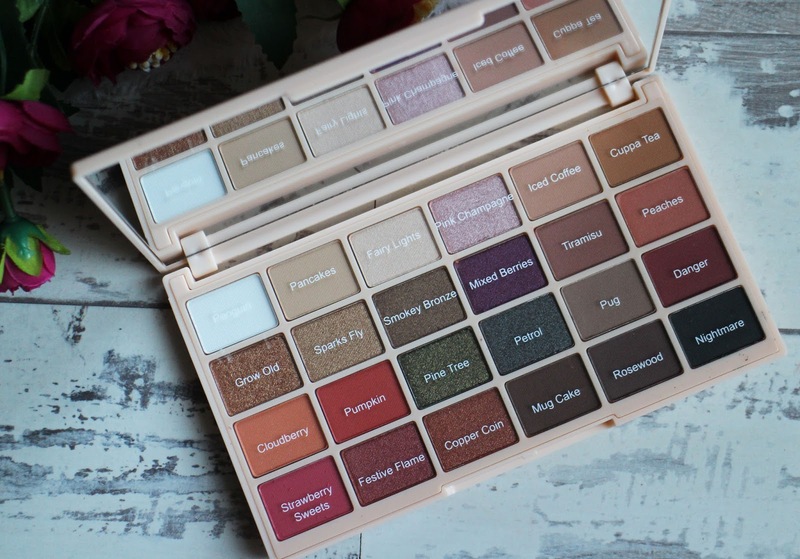 I'm really impressed with this palette and i definitely think it's worth looking into, it has a wide range of shades and finishes and it's such good quality too. 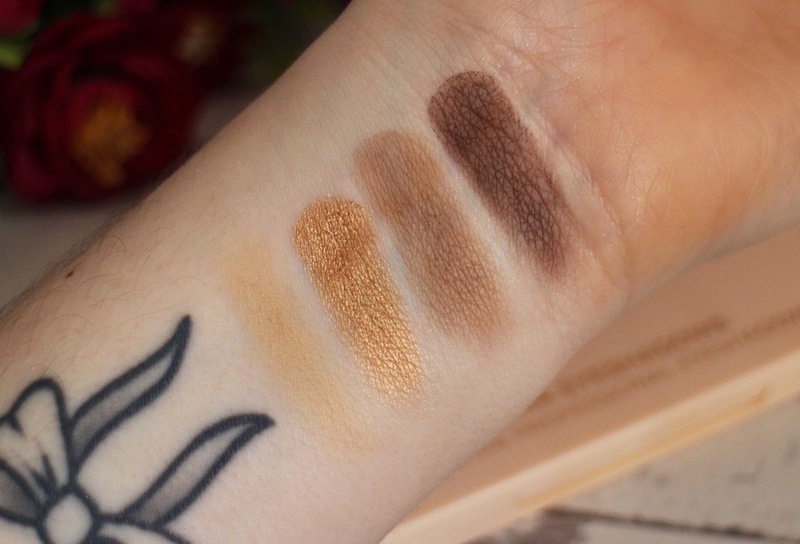 Have you got the Soph X Ultra Eyeshadows Palette?